I really don't know where to start since my emotions are all over the place right now. Such a beautiful story about finding love and trust again. Those two things are the most hardest to find because for some people once they lost it, it'll be gone forever. I think being lonely is the scariest thing in the world, you have no one to confine in and you have to walk the road of life alone. Where The Star Still Shine is the story that shows us no matter what happens if you hold on to hope, things will get better. It shows us that second chances do exist. Callie is such an amazing character. I loved her so much. Reading about Callie's story brought tears to my eyes and it just broke my heart how hard it is for her. You can't believe how many times I just wanted to give her a hug and let her know that she isn't alone. Things aren't ok but she has done a pretty good job at holding on and staying strong. I wanted her to have her fairy tale ending so I was a little bit disappointed when the ending was kind of open, nothing is certain and you just have to let life takes it course. Her cousin Kat is someone I think I'd be friend with. She is a little bit pushy but she does have a good heart. About Alex, at first I didn't like him because I believed he was a bad news. But as the story goes on, I started to like him. Yes it's so true that things are not always like what it seems. 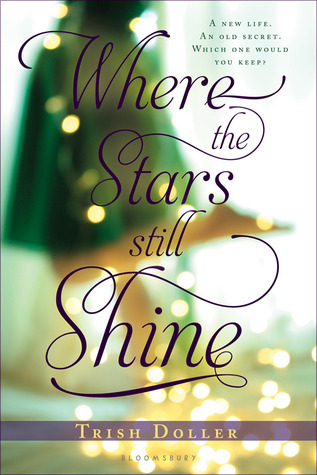 Where The Stars Still Shine has indeed a strong plot that even though I already finished the book, the story will live forever in my heart. If you've not read any of Trish Doller's novels yet, you should because she is an incredible author. Trish Doller has a way to write a story that is so heart breaking but warm at the same time.